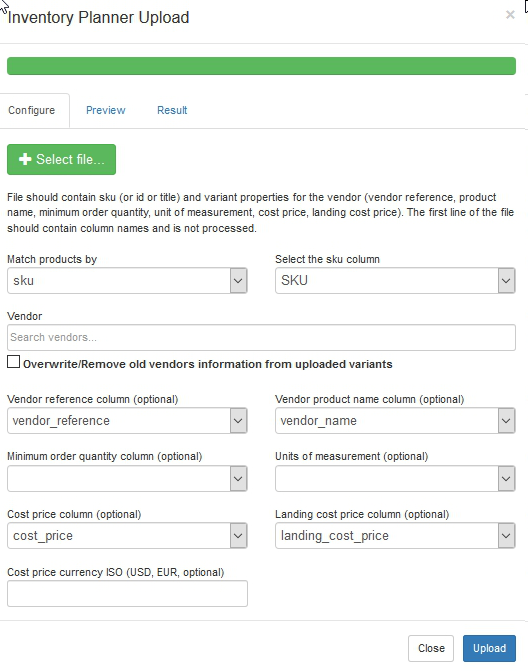 When you create or edit a purchase order, you have an option to update cost price, vendor reference and other vendor data for variants and use it in subsequent purchase orders. When you upload multiple vendor catalog, you specify a column that contains vendor name instead. This is useful when you have single file that contains information for all all vendors and variants.